Here at DWF truehardwoods.com Residential and Commercial Carpet is what we do. Located in the carpet capital of the world we have access to every major manufacturer and brand. 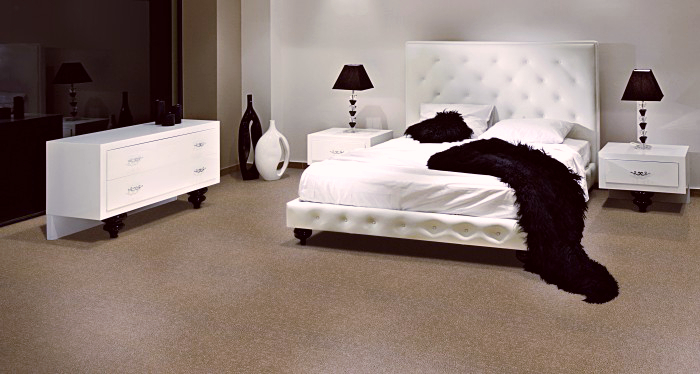 Carpet is a great soft floor covering that is very nice under foot and very comfortable. We have name brands like Shaw, Mohawk, Kane and Tuftex. When you are searching for a carpet, it can become very difficult, because there are so many styles, types and colors to choose from. Here at DWF truehardwoods.com we can help you with that, simply because we know carpet. We have sales associates with well over 20 years of carpet knowledge. Our professionals can tell you the type of fiber, style and even color that might work best for you. We can also help you understand the installation process. Roll carpet is not a DIY project that is for sure, but you can be involved in the process to make sure your job is done professionally. Have you ever wondered how carpet is made? To be sure, carpet isn’t the sexiest topic of conversation you’ll ever bring up at a party, but it’s actually pretty interesting. Consider this cool little factoid: The carpet you currently have in your home may have been boiled in a vat of water at some point. It’s one method of dyeing carpet during production. Don’t blame yourself if you don’t know much about how carpet is made, even if you’re standing or sitting on some right now. Something as pedestrian and prosaic as carpeting is easy to take for granted. We’ve been decorating our homes with carpet since nomadic Middle Eastern tribes laid it down in their huts 2,500 years ago. Today, more than a billion square feet (nearly 93 million square meters) of carpeting is produced in the United States each year; about 70 percent of that comes from a single town, Dalton, Ga. [source: Torpy, Seacrest]. Carpet may be somewhat easy to overlook, but if you get down close to the stuff, you’ll find not all carpet is alike. You can learn quite a bit about carpet just by running your fingers over it. You’ll find out whether the pile — the exposed top part of carpet we usually refer to as “carpet” — is composed of individual strands (cut pile) or closed loops (tufted). You’ll also be able to determine the density, or face weight, of the pile. You may also find that what you thought was a monochromatic carpet is actually the result of an optical illusion where several different dyes combine to create what looks like one color.